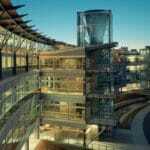 The headquarters building of Heifer International is one of Little Rock’s architectural jewels. RECLAIM’s systems have drastically decreased the amount of city water needed to cool the building, saving water and electricity. 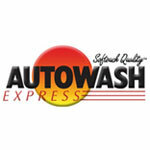 Autowash Express operates two of Raleigh’s biggest car wash locations. 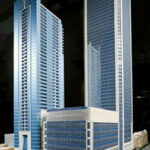 Learn how they have cut costs, saved water, and appeal to customers who appreciate green. 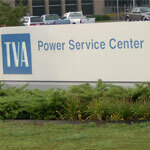 The Tennessee Valley Authority’s Motor Rework Facility rebuilds the generators from TVA hydroelectric plants. Learn how RECLAIM helped the facility remove a giant fixed cost from its accounting books. Equipment built to last. Running for over 10 years, see update. Beringer Vineyards is the longest continuously operating vineyard in California’s famed Napa Valley. Wineries must contend with high water costs and strict environmental regulations. 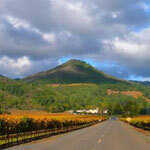 RECLAIM provided Beringer with a solution–one that other vineyards in the Napa Valley are embracing. One of Harley-Davidson’s time-tested approaches to quality control is thorough testing. One of those tests involves drenching a motorcycle with water. Water regulations limited Harley’s use of water. 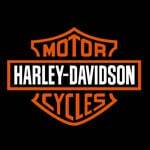 Thus, in a bumper month, Harley could test only a limited number of bikes or face a stiff fine. That is, until they found a solution with RECLAIM.